Our membership stretches across the United States and around the world. Membership includes a one-year subscription to our bi-monthly American Austin Bantam Club News with free classified advertising and the opportunity to participate in our national meets. 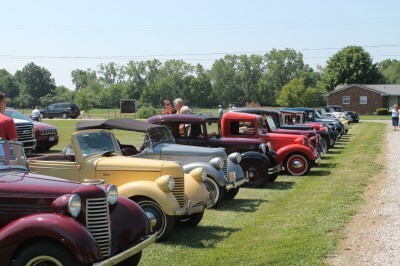 The national meets include a swap meet, vintage car tour, technical seminar and awards banquet. We welcome enthusiasts of the Austin Seven, American Austin, American Bantam and Bantam Reconnaissance Cars (BRC). Parking is not a problem at the meets. 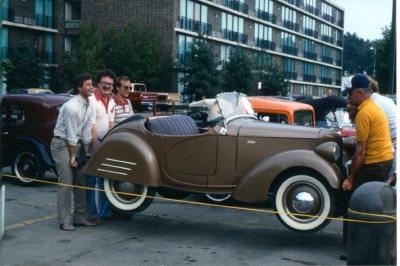 This 1939 Station Wagon was best in show at the Dayton, Ohio national meet. Imagine your car in this line-up. $30.00 for all other memberships including Canada and foreign. Memberships run the calendar year from January 1 to December 31. American Austin Bantam Club, P.O. Box 63, Kirkville, NY 13082-0063. Copyright © 2018. American Austin Bantam Club.